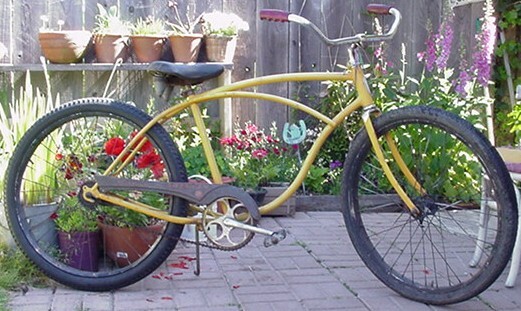 Schwinn Cruiser with S-2 painted rims. Handlebars are from a 1950s Girls Schwinn. All Schwinn except rear tire and tubes. Schwinn Bow Pedals with reflectors. $125.